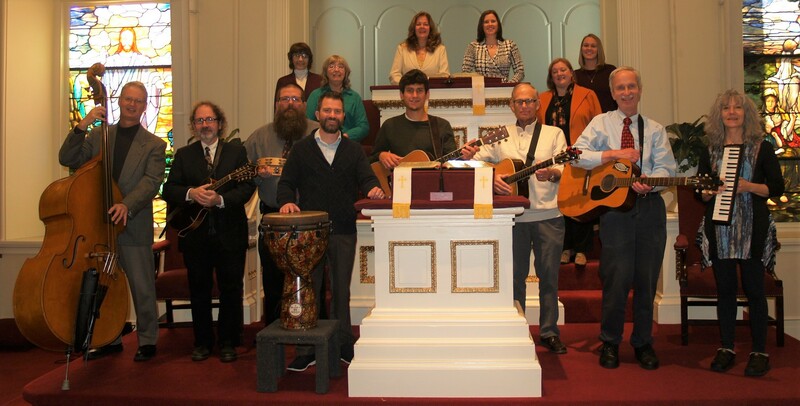 Glory Be Good, Lititz Moravian's contemporary praise band, generally plays on the first Sunday of each month; and the group also plays for special services, concerts, and gatherings (such as the Advent Tea, or Vespers in the Park service) within and outside the church. Rehearsals are twice per month (first and last Sundays at 11:45). Currently, there are 15 members, including vocalists, guitars, djembe/percussion, standup bass, mandolin, mandola, melodica, and piano in the group. New members are welcome and should call the Church Office, 626-8515, to contact the director, Brenda Barnes.